Sir Peter Brian Medwar was a Brazilian born British zoologist who was awarded the Nobel Prize for Physiology or Medicine in 1960. This biography profiles his childhood, life, research work, achievements and timeline. Sir Peter Brian Medwar was a Brazilian born British zoologist who was awarded the Nobel Prize for Physiology and Medicine for discovering the theory of ‘acquired immunological tolerance’. He received this prize in 1960 along with Sir Frank Macfarlane Burnet. His development of the theory helped to find a method by which tissue and organ transplantation became possible later. The theory first suggested by Sir Frank was that soon after birth all vertebrates develop the capability to differentiate between elements that are a part of the body and those that are foreign. This theory was supported by Medawar though it was in contradiction to the earlier theory that vertebrates had this ability right from the conception stage itself. He proved the fact that skin grafts from one twin were acceptable by the other as both the twins had the same antigens which were required for the development of immunity. This discovery changed the basic idea of immunology and suggested that a fully developed immunity system can be altered so that it tries to suppress any rejection of foreign organs and tissues. 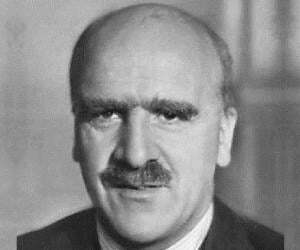 His research work during the Second World War in the field of rejection of skin grafts for an increasing number of burn victims caused by German bombings became a very vital issue. Peter Medawar was born in Petropolis, 40 miles from Rio de Janeiro, Brazil on February 28, 1915. His father, Nicholas Agnatius Medawar, was a Lebanese salesman while his mother was an English woman named Edith Muriel Dowling. He was the second child of his parents. His elder brother was Phillip. When his family moved to England, he attended the ‘Marlborough College’ from 1928 to 1932 where he developed a passion for biology. 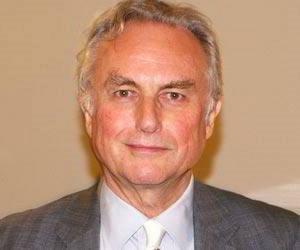 He received his first class bachelor’s degree in zoology from the ‘Magdalen College, Oxford’ in 1935. In 1935 he was appointed a ‘Christopher Welch Scholar and Senior Demonstrator’ at the ‘Magdalen College’. He was elected as a ‘Fellow of Magdalen College’ again from 1946 to 1947 and was awarded a D.Sc. in 1947 when he was unable to complete his PhD due to his failure in providing the completion fee. 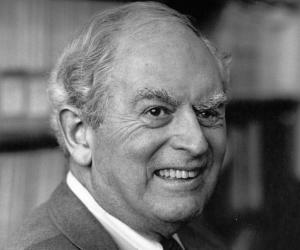 Peter Medawar worked at ‘Sir William Dunn School of Pathology’ for some time after receiving his bachelor’s degree. In 1935 he was appointed as a ‘Christopher Welch Scholar and Senior Demonstrator’ at the ‘Magdalen College’. His first scientific work on connective tissue cells was carried out in 1937 but was not given much appreciation though it had a lot of influence on his later experiments. He was elected as ‘Fellow of Magdalen’ in 1938 which continued up to 1944. He remained at Oxford all through the Second World War, became a ‘Rolleston Prizeman’ in 1942, a ‘Senior Research Fellow of St. John’s College’ and a demonstrator of zoology at the university in 1944. He carried out experiments on transplanting tissues especially skin during the World War II at the ‘Burns Unit’ of the ‘Glasgow Royal Infirmary’. In 1943 he along with Thomas Gibson brought out a paper on the rejection process of skin grafts while working at the ‘Burns Unit’ of the ‘Glasgow Infirmary’ on behalf of the ‘War Wounds Committee’ of the ‘British Medical Council’. He proved that ‘autografts’ from the burn victim’s other parts of the body were more easily accepted by the patient’s body than the ‘homografts’ or ‘allografts’ taken from a different individual. This suggested that the problem was more biological rather than surgical. He continued his experiments after the war ended and during this period came across the theory and experiments that had been done by Frank Macfarlane Burnet, an Australian immunologist who had first suggested the theory of ‘acquired immunological tolerance’. In 1947 he was appointed a ‘Mason Professor of Zoology’ at the ‘University of Birmingham’ and moved to Birmingham. In 1947 he formed a research group with Leslie Brent and Billingham. He worked as a professor of zoology at the University of Birmingham from 1947 to 1951. In 1951 he joined the University College, London, as a ‘Jordell Professor of Zoology and Comparative Anatomy’ and remained there till 1962. In 1962 he was the director of the ‘National Institute for Medical Research’ in London up to 1971. He became the head of the clinical research center of the ‘Medical Research Council’ at Harrow which was involved in skin transplantation in 1971 and remained in the post till 1986. 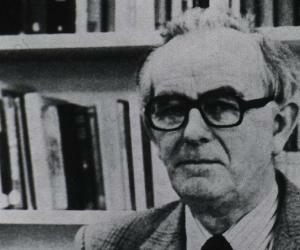 From 1977 to 1983 he worked on experimental medicine at the Royal Institution. He became the president of the ‘Royal Postgraduate Medical School in 1981 and held the post till 1987. 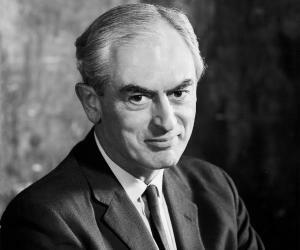 Peter Medawar published ‘The Uniqueness of the Individual’ in 1957 followed by ‘The Future of Man’ in 1959. 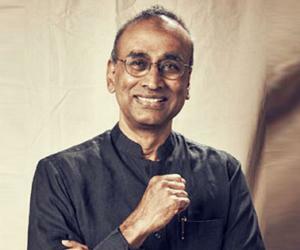 His next work ‘The Art of the Soluble’ came out in 1967 while “The Hope of Progress’, ‘The Life Science’ and ‘Pluto’s Republic’ were published in 1972, 1977 and 1982 respectively. He brought out his autobiography ‘Memoir of a Thinking Radish’ in 1986. Peter Medawar was elected ‘Fellow of the Royal Society of London’ in 1949 and received the ‘Royal Medal’ from the society in 1959. He was honored with C.B.E. or ‘Commander of the British Empire’ award in 1958. He received the Nobel Prize in 1960. He received his knighthood in 1965. He was awarded a C.H. or ‘Companion of Honor’ in 1972 and an O.M. or ‘Order of Merit’ in 1981. He married Jean Shingle-wood Taylor in February 1937 and had four children from the marriage. He suffered his first stroke in 1969 while delivering a speech which left him paralyzed. He had many more strokes after that. Peter Medawar died of a stroke in London, UK, on October 2, 1987.